Yes, you read the headline right. Back in 1984, Andrew Gavin and Jason Rubin formed a company called JAM (Jason and Andy Magic) Software. 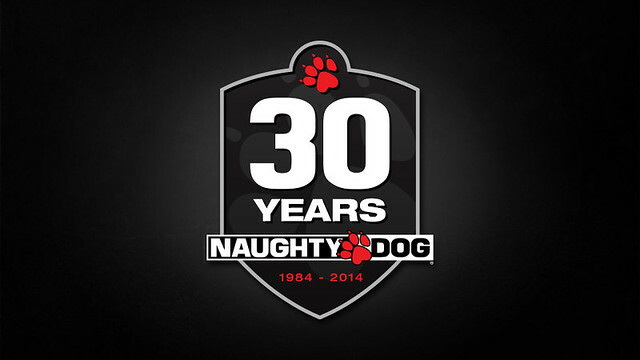 Five years later, after finding new publishing support, the game development company with the very 80’s name incorporated as Naughty Dog, Inc. Fast forward to 2014, tally up more than seventy million games sold globally, and we’re now celebrating thirty years of making awesome games. One of the hallmarks of Naughty Dog has always been our top-notch artistic quality and talent. We’re paying tribute to that this year as we’re teaming up with Dark Horse Comics to release The Art of Naughty Dog. 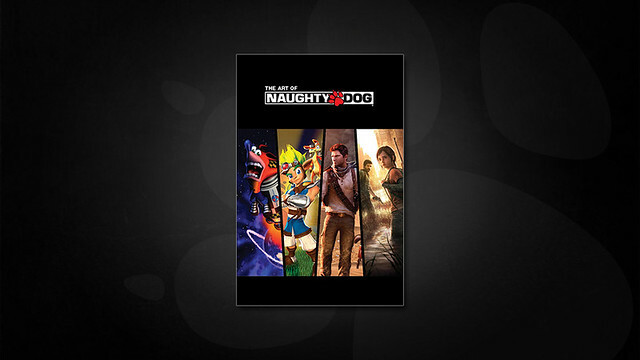 The Art of Naughty Dog will be available later this year. It will span the history of Naughty Dog and feature hand-picked, never-before-released artwork depicting our past, present, and future. Being around for thirty years has bestowed upon us all kinds of incredible art from our amazing fans. Select fan art will be a chapter of the book as well. To mark the occasion properly we’re having a book launch event later in the year. We’ll have more details once the pages and the plans are ready. We’ll have other celebratory merchandise available and we have some special events planned over the next few months. We’re currently at PAX East with the rest of our PlayStation family and there are hints at what’s coming for our anniversary in our activities there. Also, if you didn’t hear the news, it was recently announced that we are participating in Operation Supply Drop’s 8-Bit Salute. We encourage you to check out Team Naughty Dog’s fundraising page today. This kicks off several anniversary announcements happening over the coming months. Turning thirty is going to be a fun year for us all. Get ready to celebrate with us! Operation Supply Drop Inc., 9301 Alvyn Lake Circle, Bristow, VA 20136, (412) 370-3665. Operation Supply Drop is a 501(c)(3) organization, Tax ID: 27-3842517, mission statement. I know you don’t own the rights to Crash anymore, but if there’s any way you can put together a Crash Pack for Vita, that would be awesome! Happy birthday naughty dog ill take a shot for you guys cheers. Thanks for all the games,memories,laughs,trills, suspence but most important quality fun enjoy. Congrats on celebrating your 30th year anniversary! You’re a great developer Naughty Dog and I hope you keep staying in the game industry for many more years to come! Congrats on Dirty Thirty! Can’t wait to see what you guys have in store for us this year! Naughty Dog is Sony’s best developer. I’m so happy they’re part of the Worldwide Studios family. There some good news about Crash Bandicoot? I really want play Crash on my PS Vita or PS4. Happy Birthday Naughty Dog! I also turned the big 30 back in February. I played my first video game only a year or so before Naughty Dog was founded. Wow. I programmed my first “Russian Roulette” on a Tandy Color Computer II around the same time Naughty Dog was founded. Now if only I had stuck to game programming back then, I’d be up there with John Carmack now. Well that’s a pretty sweet idea! Happy 30th Birthday Naughty Dog! Thanks for all of the work you’ve put into the wonderful games you’ve created! I’m an 84 baby to. I just turned 30 myself on Jan 14th… I’m glad to be a part of it. I got my very first gaming system in 1998. My mom gave me a PlayStation & bet me I could not beat Crash 2 in one day. I got home at 11AM beat the game at 6PM that day. LOL Good times I was hocked ever since. Fast forward to 2014 I’m 30 years old now & I just got my 4th PlayStation 3 days ago. Not counting the PSP or PSVita which would make my PS4 the 6th PlayStation I have. Awesome, congrats on your anniversary. Can I get that 30 Years image you have posted there as an avatar for my Playstation Avatar? Amazing thought! We will look into it. Happy Birthday Naugthy Dog!!! We love you!!! <3 <3 <3 just don't get greedy with the LoUs Remastered for the one who already support you since day one with that and all the Uncharted. Happy Birthday guys, keep up the good work. Maybe you guys can make The Last Of Us 2!!! Give me, Give me. When will this be available and can I buy in the UK? We will have details on it as it comes together. It will be available later this year. 30 years? Wow, that’s awesome! Yup congratulations on your 30 years…although the years count just when you guys started to get help from Sony.I would like to have The Art of Naughty Dog…it looks great. So I got a question:Now that you guys announced The Last of Us Milk Milk Edition for PS4 how does it feel to stab your loyal fans in the back?….those that supported you day 1 and also bought all the DLCs?….it must feel good for a company that is getting greedy and its lackeys(reads ND)…..Guess I should say thanks for killing TLoU on the platform that it was meant to be played. @Welmosca Wow, don’t be such a jerk. How is TLOU coming to PS4 a bad thing? 1- many fans have been demanding for it to be released on PS4. 2- There are many PS4 owners that never owned a PS3 so now they can experience this amazing game too. 3- TLOU Remastered is essentially a GOTY edition so it coming with the DLC shouldn’t be a surprise. Naughty Dog is my favorite developer. I must own this! Wow, you’re rude. Believe it or not there are many people who have yet to experience the perfection that is The Last of Us, despite it selling over 6 million copies. The game has been upgraded and comes with the DLC. Many fans wanted to see this happen. I have the PS4 edition reserved already and I was one of the ones who bought the Survival Edition last year as well. I still play the multiplayer on PS3 and I can’t wait to start playing it on PS4. Here’s to another platinum! On the one hand, I want to wish you guys a happy anniversary as you’ve given me a lot of fun over the years (not as much recently, but others like it so hey) and all that good stuff, but on the other, considering it’s the anniversary of selling off beloved IPs to companies that either misuse, abuse, or ignore them completely, I… dunno. Still can’t even play Crash on Vita for crying out loud. Man. Grats on the milestone to everyone at Naughty Dog!!! Please have a sale , i still haven’t played TLOU as 60$ for it seems too much currently . Lets party together with birthday sale . @Welmosca Wow, if anyone has to be stabbed in the back with a shiv, it’s you. Unlike Tomb Raider, people wanted The Last of Us to be on PS4. Go get your neck ripped off by a clicker, dipstick. Don’t try to sound tough because you played the game already. Congratulations Naughty Dog. I have not gotten around to playing the last of yet, but I will. I guess Naughty Dog still owns the rights to the original art work for Crash?…. Crash Bandicoot is one of those games from my youth that I spent hours with because we got games on like Christmas and birthdays. I just had a crazy thought of a remastered crash bandicoot collection on PS4 or a new crash, but I will settle for a Vita version soon…… no, well it was worth a shot. My hope is still alive… they are at least acknowledging Crash with the Dark Horse Comic. Happy birthday! Let’s see a Naughty Dog publisher sale!!! I must own this as well. Glad to see Crash back home. If that doesn’t make me feel old. I’m 5 Years older than Naughty Dog. Happy Birthday Naughty Dog. You guys deserve the success w/ many more incredible years/decades to come. i love ND you guys are the best! heres to another 30 years of greatness huzza! Really want to get this. I’ve always loved drawing/art and I love artbooks. Whenever games get Limited Editions and they come with Artbooks, I wish they all came with a full size artbook like this one (I’m assuming this one will be full size since most artbooks that are sold separately from the game are), and not those little small artbooks that are like 5 inches x 7 inches. Naughty Dog is one of my favorite developers out there. Started playing Crash Bandicoot way back when I was in Elementary School, Jak and Daxter in Middle School & High School, and Uncharted in my college/adult years. It’s one heck of a coincidence that the content in those games seem to coincide with what was proper for my age whenever I first played them. Naughty Dog and their games seem to Mature as I matured — a cartoony platformer like Crash as a kid all the way to more realistic and serious tones in Last of Us and Uncharted as an adult. Keep it up ND! 30 years later, and still a badass. Thanks for the memories, Naughty Dog. I must say you guys always make the best games, ever since the beginning. Happy Birthday Naughty Dog! Wow, had no idea I was as old as Naughty Dog. Congrats on surviving 30 years! And may a bright future lay before you! Also, “sup” to my fellow Feb. ’84 babies, NCtwin and kratos1984. I was born Feb. 10th, haha.